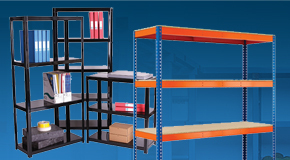 Heavy duty steel stillages designed to provide storage for materials without taking up too much space themselves. 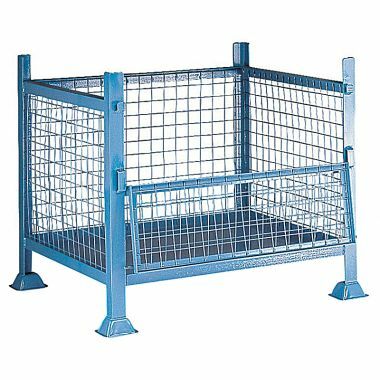 Exemplary products for use in industrial environments our range of stillages are robustly constructed from hard wearing and durable steel and are available in a host of different sizes. 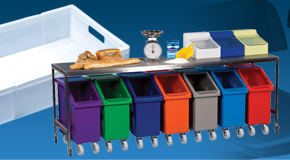 These stillages also incorporate the ability to be stacked, thus helping to reduce the amount of space they require further but still offering ample storage. Be sure to check out our range of chain stands to place around steel stillages if they contain hazardous substances. 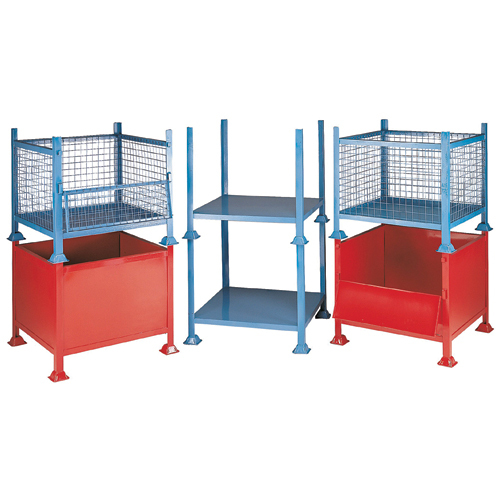 Stackable metal post pallets offer storage for awkwardly shaped items such as sheets, bars or pipes. 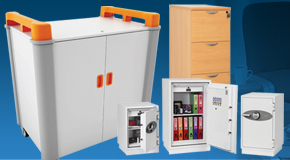 These units are available in different sizes and colours to suit your requirements. 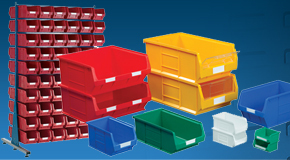 They can be used to hold IBC bunds and other heavy duty goods. 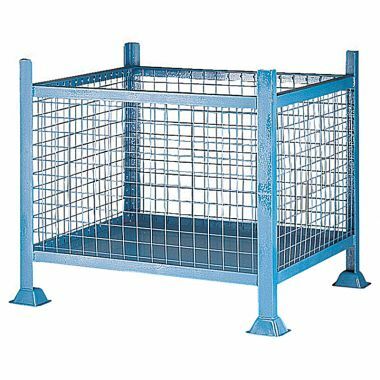 Mesh sided metal stillages have huge weight capacities of up to 1000kg per unit. Providing high visibility of items these heavy duty stillages are stackable up to five units high, helping to increase storage without taking up too much space. Open sided variations are also available, allowing easy access to items even when the stillages are stacked. 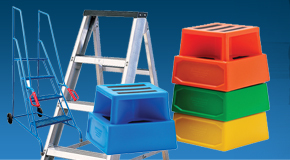 Chute pallets allow for quick and easy access to stacked materials. 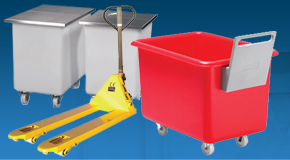 Suitable for storing components and materials that are regularly used these chute pallets can be stacked, offering large amounts of accessible storage without taking up too much space. 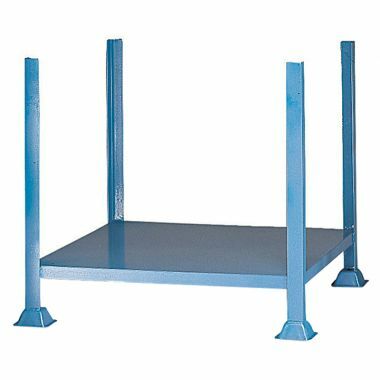 Which Steel Stillage should you buy? 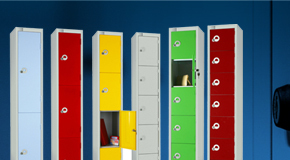 Our entire range of Metal Stillages are designed with the intention to offer ample space saving storage. 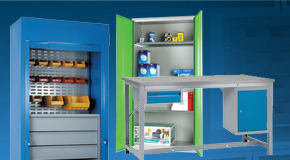 Robustly constructed from hard wearing steel these heavy duty storage solutions are well suited to withstand the rigors of an industrial setting. 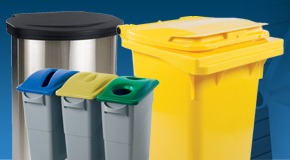 Choose from a variety of size options with mesh or solid sides, optional pick openings and a choice of two different colours.